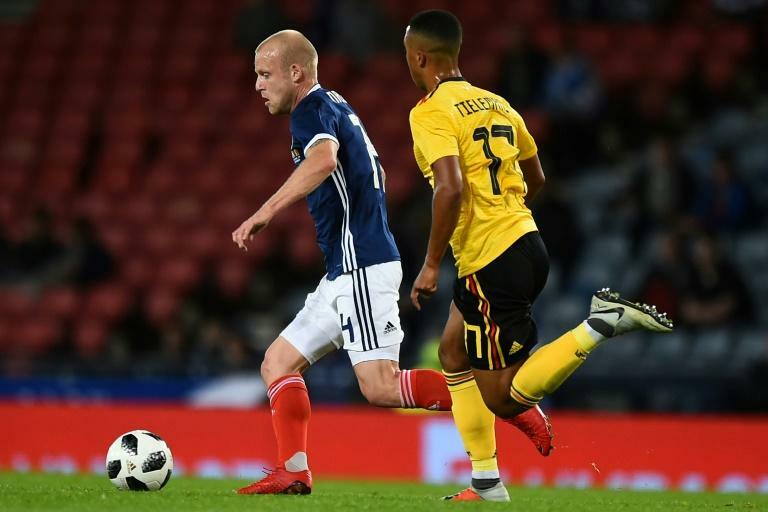 Steven Naismith was on target as Scotland marked Alex McLeish's first competitive match since coming back for a second spell as manager by beating Albania 2-0 at a sodden Hampden on Monday. "This was always the focus. People were talking about win ratios but I'm not worried about that. It's about building a team and we've had the very hardest tests possible," McLeish told Sky Sports. "I'm really proud of the victory tonight because we were under pressure, everybody said we must win, and we did." Back in the job after a previous spell in 2007, McLeish faces a huge challenge reviving his side's fortunes, and persuading long-suffering supporters to attend games again. Just as for Friday's 4-0 thumping by Belgium, Hampden -- which will host four matches at Euro 2020 -- was sparsely populated for this game on a dreary Glasgow evening. Naismith produced a remarkable miss midway through the first half when he headed against the post from just two yards out after Charlie Mulgrew had nodded down John McGinn's free-kick. The same player then had the ball in the net just before the interval, diverting Callum McGregor's effort past Thomas Strakosha, but he was just offside and the flag came up. With Southampton's Stuart Armstrong on at the interval, Scotland stepped things up after the break and took the lead within two minutes of the restart. Captain Andy Robertson's cross was headed towards goal by Naismith at the back post, and the unfortunate Xhimshiti helped the ball in. Albania coach Christian Panucci scored a stoppage-time winner for Italy at Hampden to knock McLeish's Scotland out of Euro 2008 qualifying. But Scotland doubled their lead on 68 minutes as Strakosha came for a corner and missed it, allowing Naismith to head into an empty net. Spirits have been lifted, but a bigger test surely awaits Scotland in Israel next month.